Armstrong bronze impeller P/N 816305-058 for S-45 pump. Replaces Bell & Gossett P/N 118440 Shipping rate for continental United States. Armstrong impeller P/N 816302-317. 5-1/4" plastic impeller used on H-52 circulator or Bell & Gossett model 60-2. Armstrong impeller P/N 816302-319. 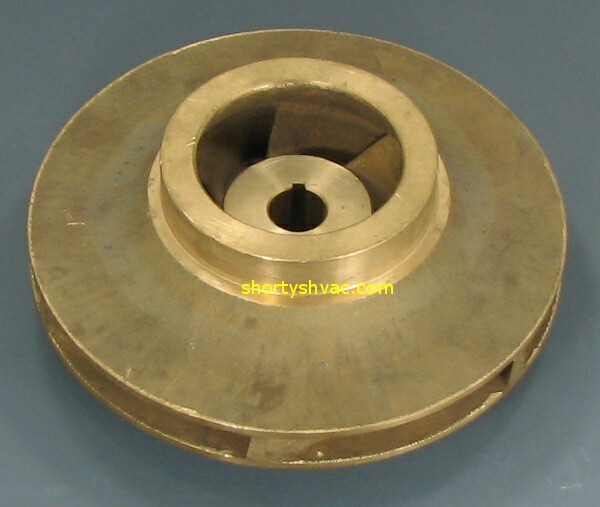 5" plastic impeller used on H-51 circulator or Bell & Gossett model 60-11. Armstrong impeller P/N 816303-317. 5-1/4" plastic impeller used on H-53 circulator or Bell & Gossett model 60-13. Armstrong plastic impeller P/N 816304-317 5-1/4" plastic impeller for Armstrong H-54, S-57 or Bell & Gossett PD37, 60-14 pump. Armstrong plastic impeller P/N 816304-321 4-3/4" plastic impeller for Armstrong S-55 pump or Bell & Gossett model PD35. 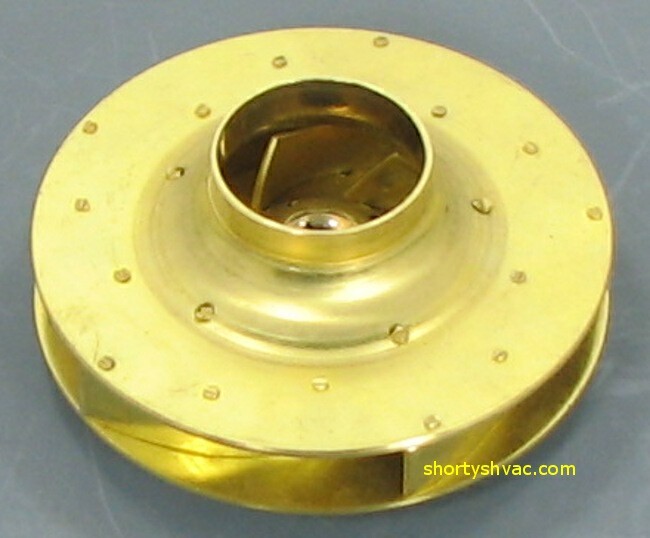 Armstrong S-25 bronze impeller P/N 812961-041 Replaces Bell & Gossett P/N 118431. Shipping rate for continental United States. Armstrong impeller P/N 816556-111. NFI (plastic) 2 piece impeller size 3-3/8" Used in Armstrong H-32. Replaces old P//N 174111-000, 174110. Armstrong plastic impeller P/N 816305-325 4-1/4" plastic impeller for Armstrong S-46 pump or Bell & Gossett model 3HD.